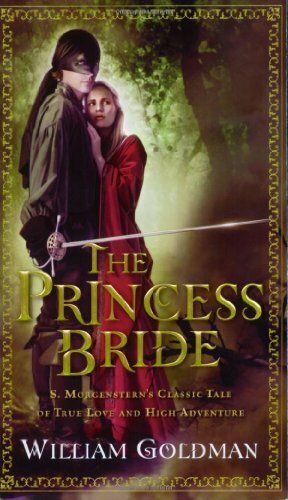 What's the Difference between The Princess Bride the Book and The Princess Bride the Movie? Westley is held in the fifth level of the Zoo of Death for over a month. He is tortured by the Count in many different ways including his hands being set on fire and covered in spiders, before the Machine is finished. He is held in the pit of despair for less time and the only torture is faces is from the Machine. The Machine goes from 1 to 20 in levels of pain inflicted. It has many small suction cups that cover Westley's entire body, even under his eyelids and his tongue. It goes from 1 to 50. There are only a few cups that go on his temples chest and a few other places. Inigo chases the count and is locked out and asks Fezzik to help him break down the door. Fezzik takes three attempts before finally succeeding in breaking it down. He knocks the door open easily with one hand and on the first try. Westley and Buttercup encounter "Snow Sand" in the Fire Swamp. Westley is prepared for it and has a coil of vine wrapped around his arm. When Buttercup falls in, he ties it around a rock and jumps in after her. After he gets her out she is unconcious for a short while before waking up. They call it "Lightning Sand". When Buttercup falls in, Westley grabs a nearby vine and cuts it with his sword. A ROUS watches and then leaves before they escape the sand. Buttercup is awake after they come out. Fezzik is refered to as a Turk. Vizzini says he found Fezzik in Greenland.